The Healer release date was Friday, September 28, 2018. This was a Limited in theaters release. 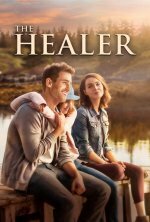 The Healer is a story about a gambling, womanizing bankrupt electrical repairman named Alex Bailey (Cohen) who is traumatized by the death of his twin brother. His distant uncle Raymond Heacock (Pryce) offers to absolve his debts under the condition that he agrees to live with him in Halifax, Nova Scotia. With no alternatives, Alec accepts and embarks on a life-changing journey as his uncle reveals that he comes from a long-time family of healers with the gift of being able to heal all those who are diseased. Trying to understand this gift and the new reality that it offers Alec meets Cecilia (Camilla Luddington), a beauty and local veterinarian, and a teenage girl Abigail (Kaitlyn Bernard) with terminal cancer who unexpectedly show him the way.